Seth Meyers has already made his way over to Late Night, and we're thrilled to have him taking over Jimmy Fallon's slot. But that's not the only thing of interest that's going on in Seth Meyers' life. The former SNL writer and Weekend Update host got married this past year. 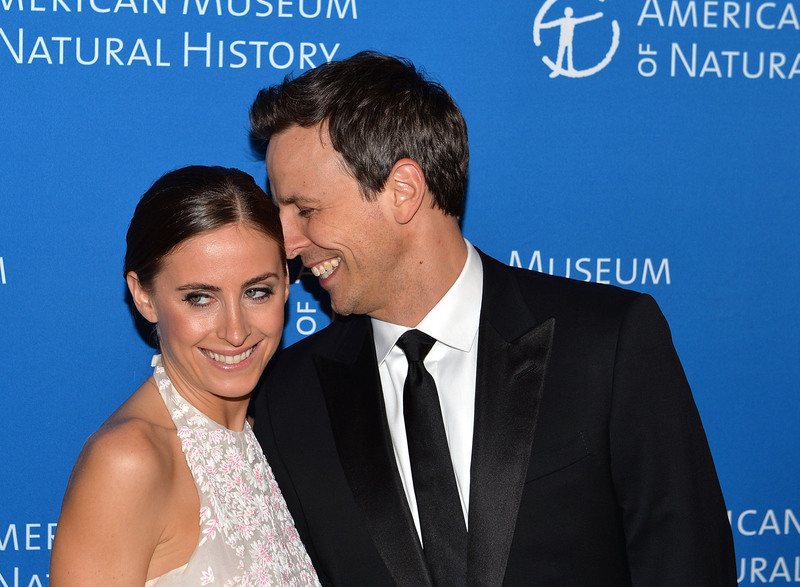 Seth Meyers and girlfriend Alexi Ashe tied the knot over this past Memorial Day weekend in Martha's Vineyard. So, who is Alexi Ashe? While we know a lot about Seth, we know very little about his wife. But here are the details. She's definitely not Hollywood, despite having movie-star good looks and now a very famous husband. Alexi Ashe is a Southwestern University law graduate (weirdly, Seth graduated from Northwestern University) who currently works as a human rights lawyer and Assistant District Attorney under the King's Country District Attorney. She has a Twitter account, which features the nondescript photo of an egg, and tweets about human rights issues. While she may be married to one of the funniest guys in Hollywood, Ashe takes these very important, wold concerns very seriously. Her high-profile husband has made a great career in late night television, but Ashe's agenda is helping other people and spreading awareness about issues that matter to her. Basically, Alexi Ashe seems really, really awesome. These two seem like the ultimate power couple, and we're glad to see that they found one another.